do not experience this issue with cryo data, only stain. I manually picked particles for subsequent template, and the extraction (<1000 particles) worked fine here. I checked the box “stain data”. However after template pick when I have >300k particles and I try to rextract it doesn’t work. I see in the output that it goes through all micrographs and extracts successfully, writes output to the folder, but at the end it never successfully ends the job. It just stays running forever. I let it go overnight. we are trying to extract the particles using “Extract from Micrographs” for the Negative stain data. the Job went to Queued but it never ran. 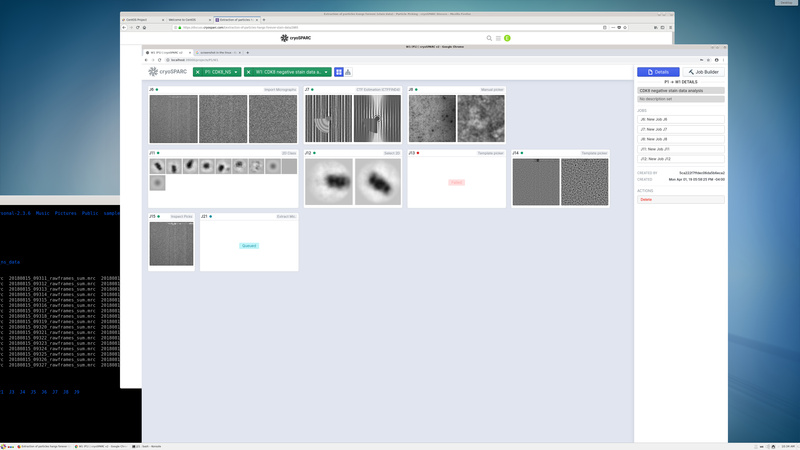 I have used the output of CTFfind4 (Micrographs) and Inspect picks (particles) as a inputs for this job. It seems like your issue is a little different than @orangeboomerang. Please refer to the resource manager tab (from the bottom bar) and you will be able to see the reason the job has stayed in the queue. There could be a few possible reasons, such as inputs not being ready or compute resources not being available. @orangeboomerang, we’re looking into the issue you reported. If you re-run the job with the same parameters, do you observe the same issue? it will hang, as described above.